I’m not a gusher. I tend to find gushing unappealing. But if and when I meet you, I shall ask you if I may give you a hug. Thank you for writing, Catching the Big Fish. I felt as if it were written directly to me as I was reading, and I couldn’t put it down. It made me feel like I can really make movies, and that it doesn’t simply have to be a dream. Thank you for all of the personal insights and advice on craft. You help to simplify many things that at times, can seem arduous and daunting. I like what you have to say about heroes, and that Kubrick was/is one of yours. 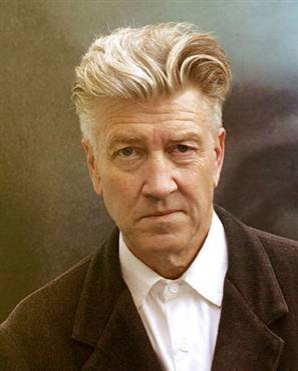 I’m glad that Eraserhead was his favorite film (congratulations). I can only imagine how fun it must have been to receive that news. He is one of my heroes, too. So are you. Some people say that you shouldn’t have heroes, but I disagree. One just needs to keep in mind that we’re all human, and yet we can each be a hero to someone at some point. I started learning about Vedic Wisdom and synchrodestiny a couple of years ago, but I have just recently begun to practice meditation, thanks to having read your book. Some may find it interesting, however; that had I not read works of Dr. Deepak Chopra and attended his lecture this last winter, I may have not been inclined to pick up your book on the table at Barnes and Noble a few weeks ago, despite the attractive cover, and despite that I am a fan of your work and a lover of film. It just shows that once you begin to increase your awareness, you can’t help but to be more aware of the opportunities–what many of us think of as coincidences–that we are presented with. Every day we are changing, and that in and of itself, is an opportunity. Anyhow, thanks, once again for your compassion, and for helping to expand my vision. p.s. You said, “The woods for a child are magical.” The woods are magical for adults, too, but I’m sure you know this. I just recently rediscovered how magical they can be. 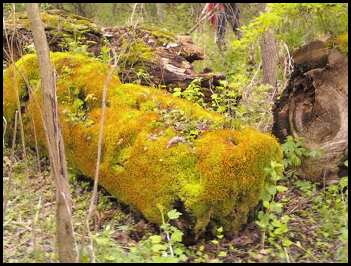 Moss covered log at Whitnall Park; Hales Corners, WI.